The history of this area might have been very different if it hadn’t been for one seminal event in 1804 – the sinking of the schooner Speedy. The government of the day was looking at establishing a “district town” for the District of Newcastle (of which Cramahe Township was a part) at present day Presqu’ile. It was to have been called the “Town of Newcastle” and plans were already on paper for its development, when the tragic event occurred. On October 7, 1804, Solicitor-General Robert Gray, Judge Thomas Cochrane, High Constable John Fisk and others, sailed from York to Presqu’ile for the trial of a native, Ogetonicut, accused of murdering a trader, John Sharpe, at Lake Scugog. The schooner Speedy carrying the Crown representatives and the accused, appeared briefly off the point on October 8, and then vanished forever. So did the dreams of local settlers for the establishment of a “district town” in this vicinity. The sinking of the Speedy made the government change its mind as to the location of a capital town for the area. The nod went to Cobourg, which disappointed many of the local settlers. Cobourg later became the county seat of the United Counties of Durham and Northumberland and, still later, the county seat of Northumberland. 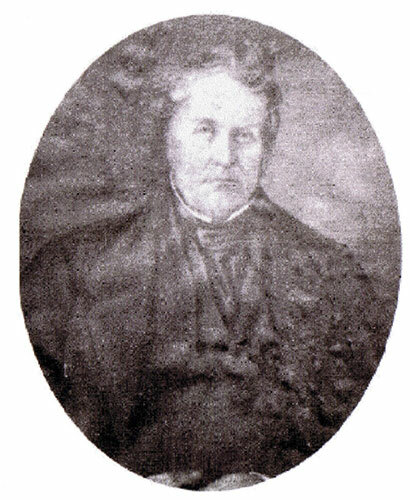 Joseph Abbott Keeler (1788-1855), the only son of the first setter, Joseph Keeler (1763-1839), is credited with the founding of the settlements of both Colborne and Castleton and with the founding of Norwood, as well. From the time he arrived at Cramahe Harbour (now Lakeport) when he was five years old, until his death at age 77, thriving communities were carved out of a near-impenetrable forest. “Young Joe”, he obviously acquired learning, probably from his parents, which he added to his innate intelligence and used to its utmost. He was deeply involved in all the entrepreneurial endeavours of his father and is listed as the builder of the Keeler mill at Castleton circa 1806, around which that settlement grew. The mill was rebuilt near its original site around 1830 and is still standing, a venerable wooden structure on the west side of County Road 25. The ruin that was still visible from Ontario Street, west of Colborne, at the time of writing was a Keeler mill, as well, built of limestone quarried at Lakeport. This limestone was also used in the building of Old St. Andrew’s Church, Colborne. With the help of settler-surveyor Aaron Greeley, the township of the village of Colborne was laid out in the shadow of the hill called Kelwood. The community was planned around a central square, like the New England villages the first settlers had left behind. It is recorded in several sources, and has become a charming local tradition, that “Young Joe” also set aside land for the churches of various denominations, asking in return only that a pew in each be reserved for his use. In 1815, at age 27, Joesph A. Keeler opened a small store in Colborne that included a post office, and he became the village’s first postmaster. His father had served in that capacity before him at the Keeler’s Creek settlement in Lakeport. As well as being merchant, builder and postmaster, Joseph A. was also Justice of the Peace for the whole Newcastle District (later the United Counties of Northumberland and Durham, plus lands to the north that were labelled on maps of the period simply as “Indian lands”). This was a very important political office and it demonstrates the esteem in which the Keeler family was held, not just by the residents of this area, but by people in positions of authority within the government of the day. In its earliest days, Colborne was simply known as The Corners. Virtually all of the earlier buildings would have been of wood and they no longer exist. During the 1920s, Joseph (Abbott) and Nancy built the house that still stands at 9 Church Street East, facing south down Maybee Lane. 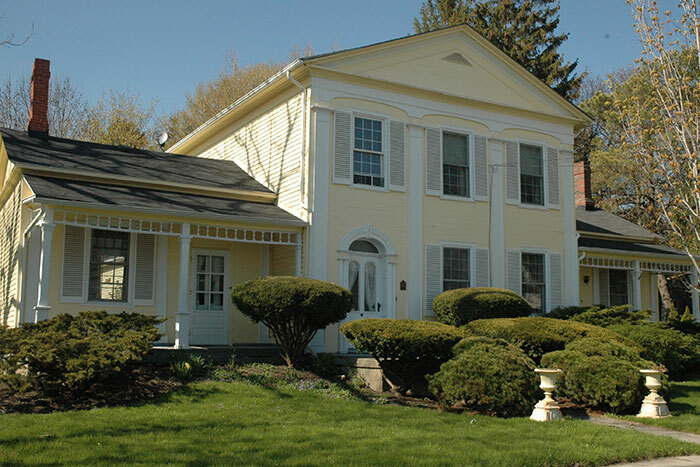 It has the distinction of being one of the few houses of the period to have been designed by an architect, and bears a distinct resemblance to the Barnum House (now a National Historic Site) in nearby Grafton. The first settler “Old Joe” died in this, his son’s house, at the age of 76. In 1822, “Young Joe” acquired 500 acres of land in the then newly surveyed Asphodel Township, for services rendered to the Crown – according to some sources, for military duty in the War of 1812. And he purchased an additional 1,500 aces, originally called “The North Woods”, giving him ownership of Norwood, now part of Peterborough County. There he built a sawmill in 1823 ad a gristmill in 1825, thus founding that community. In 1833, J.A. Keeler was one of the driving forces behind the formation of the Northumberland Agricultural Society, and in 1841, he was instrumental in forming the Cramahe branch of the Constitutional Society “for the maintenance of British supremacy and diffusion of useful political information”. He served as the organization’s treasurer. Early in the 1840s, he began construction of the home that was intended to serve as his family’s monument, Kelwood, at the top of the hill from which “Old Joe” first surveyed the territory back in 1789. But this architectural marvel – a 16-room, two- storey mansion in which both floors opened onto an octagonal “atrium” type of central hall – took 20 years to complete. Joseph A. Keeler did not live to see its completion. ￼The founder of Colborne and Castleton died in 1855 , aged 67. His wife, Nancy died three years later, at age 68. They are both buried in Lakeport Cemetery, near their daughters Anne and Eliza and heir, son Joseph. Joseph, the only son of Nancy and “Young Joe” sometimes called “Little Joe (1824-1881) was about 17 when his grandfather died and 33 years of age when his father passed away. He seems to have inherited – or learned – many of their habits of energy and accomplishment. He is reputed to have been “little” in more than his nickname and a photo that survives, shows a man of diminutive stature and small frame. On October 12, 1848, he married Octavia Phillips, daughter of Rev. 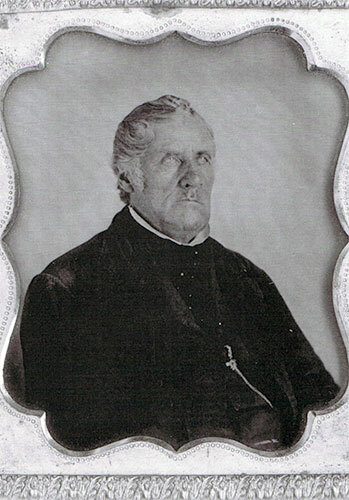 Thomas Phillips, D.D., rector of Etobicoke. The Keelers, like many other Loyalists, were members of the Church of England in Canada (Anglican). This affiliation was consistent with their sympathy for all things British. They are listed among the first members of the congregation of Trinity Church. Colborne (est. 1846). The couple had two sons: Joseph, born July 16, 1849 and Thomas Phillips, born Jan. 24, 1852, and one daughter, Annie Sybilla, born March 21, 1854. No further mention is made in any records of the baby Joseph, who must have died in infancy. 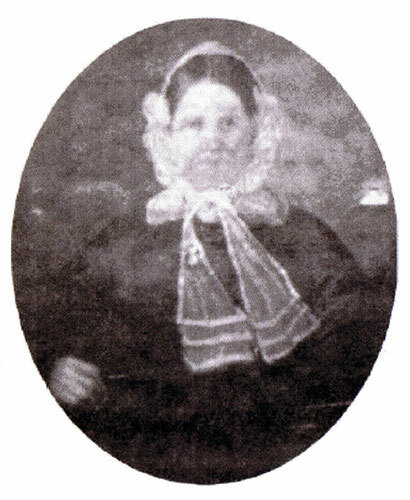 Thomas married Blanche Elizabeth Boyer of Brighton and Annie married John Boyer, likely Blanche’s brother. In the census of 1856, the Keeler household is listed as including six people, possibly Joseph and Octavia, their children Thomas and Annie and two servants. “Little Joe” was the owner of considerable property, and in 1856 he established The Transcript, Colborne’s first newspaper, and served as its editor ande￼publisher. It would be no unhandy thing for a man with political aspirations to be the editor and publisher of a newspaper. He was also a major in the local militia and one of the movers and shakers (along with a man named J.D. Hayes) behind the establishment of the first bank branch in Colborne, the Bank of Toronto, in 1856. To attract this important investment, they must have persuaded many people in the township to contribute to the purchase of the 10,000 British pounds worth of stock, which the bank required to open a new branch. In 1861, upon completion of the mansion, he moved his family into Kelwood, where they lived in lavish style for the next 20 years, as befitted the area’s leading family. In the 1850s, Colborne was a thriving village. A listing of businesses from the time shows Keeler as agent for Imperial Fire, Marine and Life of Quebec, and Provincial Life Assurance House at Colborne Harbour. He is also listed as the builder of the 1872 three-story Keeler Block (the third story was later removed) on the north corner of Victoria Square and King Street East. The following year, the block next to it was also built by Keeler to serve as a public hall (second-story level) with commercial establishments at street level. Around 1874, he became the owner of an 84-foot schooner he named Octavia, docked naturally, at Keeler’s Wharf at Lakeport. Some sources report that he had a fleet of schooners. 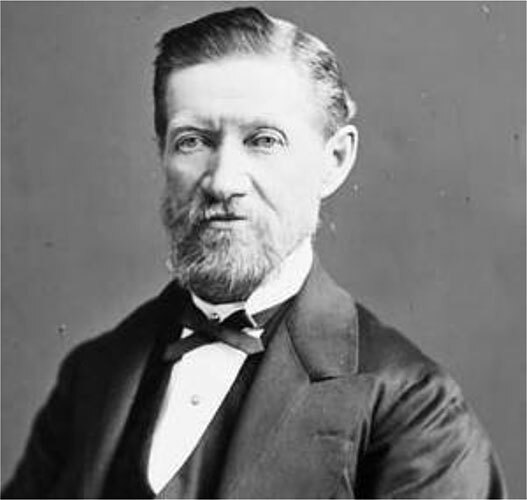 A Conservative, Joseph Keeler was elected Member of Parliament representing the riding of Northumberland East from 1867 – the year of Canada’s Confederation – 1873, and again in 1879 until his death in 1881. He was a strong supporter of Canada’s first Prime Minister, John A. MacDonald (later Sir John A., also a Conservative), and sided with him on the importance of building a railway across the prairies to lure British Columbia into Canadian Confederation. M.P. Keeler’s untimely death at age 57 occurred just shortly before the final parliamentary vote on the railway, and it is recorded that the Prime Minister lamented that, “Keeler of Northumberland is very ill”. With a close vote appearing likely, the anticipated “yea” vote of the Member from Northumberland would be missed. However, as history records, the Canadian Pacific Railway, the “national dream” was eventually built to link the country that would become Canada “from sea unto sea”. M.P. Keeler also fought for the creation of the Trent Canal System, particularly the Murray Canal which joins Weller’s Bay to the Bay of Quinte at Carrying Place, about 15 miles east of Colborne. At a time when road travel was uncertain and very uncomfortable, the waterways were still the fastest and easiest way to move goods and people The Murray Canal cut off miles of water travel and eliminated the need for the centuries-old portage that was the origin of the name “Carrying Place”. After that time, Mrs. Keeler moved out of this area, back to the Toronto area where she had lived before her marriage. The Keelers’ son Tom had already moved to Brighton and John Boyer, their son-in-law, became administrator of the estate. It appears that Octavia outlived not only her husband, but her son, daughter, and son-in-law, as well. When she died in 1899, she left her remaining holdings in Northumberland to her daughter-in-law, Blanche Boyer Keeler. The passing of “Little Joe” marked the end of the era in the history of Colborne and Cramahe Township. After that, the name “Keeler” was heard here only in reflection of what used to be, or what might have been. Although Keelers are greatly to be revered for their leadership role, it should be remembered that it took more than one family to build these communities.